energy resource: I used a classic "wall wart" transformer, or you might make use of battery packs. to power just one Light-emitting Diode anything between 4 and 6 volts with sufficient present will be fine. that is why this circuit is convenient! you need to use numerous energy resources and it'll constantly illuminate a similar. temperature sinks: right here I am building a straightforward light without heatsink whatsoever. that limits us to about 200mA LED existing. 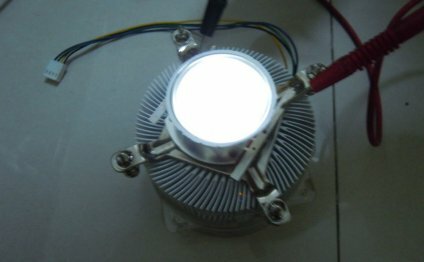 for more current you'll want to place the LED and Q2 on a heatsink (see my notes various other power-led instructables i've done). prototyping-boards: I did not make use of a proto-board in the beginning, but i built a second one after on a proto-board, there is some photographs of this at the conclusion if you want to utilize a proto-board. The circuit is a constant-current origin, the worth of R3 establishes the current. We set the Light-emitting Diode existing to 225mA by using R3 of 2.2 ohms. R3 power is 0.1 watt, so a regular 1/4 watt resistor is fine. all the components except the LED's can be found away from you can seek out the part numbers offered. the LED's are from Future electronics, their pricing ($3 per LED) is far better than anyone else currently.